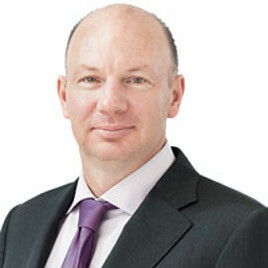 Duncan Embury is a Partner and head of the Medical Malpractice group at Neinstein Personal Injury Lawyers. He acts on behalf of plaintiffs in cases involving all areas of medical negligence. Mr. Embury is one of Canada’s most experienced and well-respected medical malpractice lawyers with more than 20 years of experience defending clients’ rights and ensuring they receive full and fair compensation for injuries or deaths incurred due to the negligence of health care professionals. + Best Lawyers® Ranked Lawyer. Medical malpractice cases are complex, challenging, and require an intricate understanding of both legal and medical processes. As an experienced Hamilton medical malpractice lawyer, Duncan has a network of health and other professionals to deployed including retaining leading medical experts to provide opinions and help prove your case and quantify your damages. When Neinstein’s medical malpractice lawyers take on your case – It is because we believe there was negligence and we can prove it. We will stand beside you and be forceful advocates through every step of the journey. The firm’s head office is located in downtown Toronto but we represent medical malpractice victims in Hamilton and across Ontario. We have a consultation office right in Hamilton to serve you better. If you can not come to us, we will arrange to meet with you in your home or hospital. If you believe you have suffered an injury or the death of a loved one due to medical malpractice, Duncan Embury can help you. Contact Duncan Embury to discuss the allegations of negligent medical treatment. There is no cost or obligation for this consultation. Phone: 416-920-4242 or Email: duncan@neinstein.com.